Gone are the days when you had to go through a heap of wires and connectors to layout speakers in your living room. With the Philips HTL3140B Soundbar, setting up surround sound has never been easier. Philips is known for engineering some of the best soundbars in recent memory, and the HTL3140B builds on this sterling reputation. Its sleek and innovative designs make it an ideal space-saving addition to any home entertainment system. End-to-end, the deep-black soundbar boasts high-grade material. Its slim body allows it to be easily mounted on the wall or at the foot of your television. The HTL3140B features a pair of satellite speakers—an integrated woofer with tweeters and a standard-sized subwoofer. 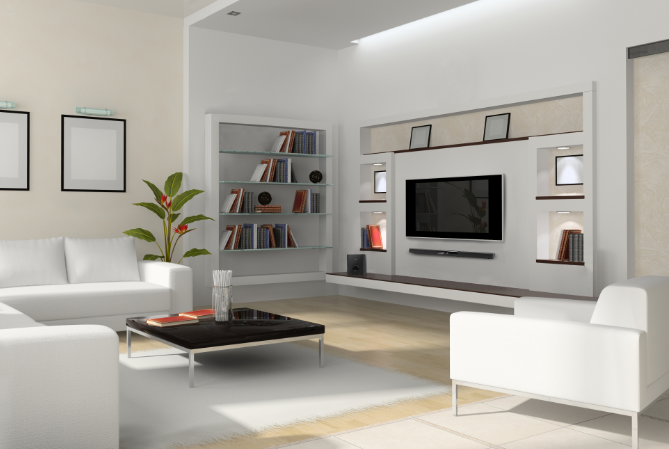 With minimalistic style and dimensions, owners can easily store components in TV cabinets without worrying about space and clutter. It comes with a USB port and a 3.5mm jack that lets you play music from an external source—like MP3 players, iPods, and iPhones. Even more, the HTL3140B lets you stream music wirelessly via built-in NFC and WiFi Direct. With EasyLink technology, users can also control multiple devices from a single controller. In terms of performance, the HTL3140B does not disappoint. Its speakers are engineered with spatial algorithms that replicate sonic characteristics—delivering clear and distortion-free sound. The bass is impressively deep, as well. The soundbar performs exceptionally well as part of a home television theater system. With cutting-edge Dolby Digital surround features, movie sounds are clearly delivered with an excellent sense of space. All in all, the Philips HTL3140B is a superb soundbar. This sound system is excellent for music, even in small living spaces. It also takes you as close to the theater experience as you’re going to get at home.